Salt Communications was hired earlier this year to develop a consumer PR campaign to complement Carlsberg's latest marketing drive - That Calls for a Carlsberg. The campaign was launched during a busy period around Easter, the royal wedding, the two May bank holidays and the FA Cup Final. 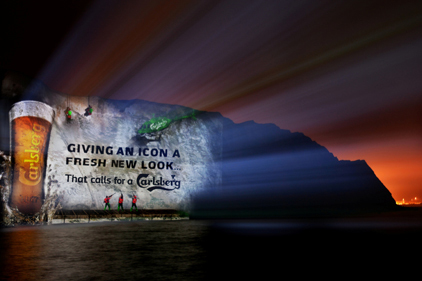 Carlsberg wanted the campaign to position the beer as a reward for hard work. To drive sales of Carlsberg during the peak bank holiday season. Aiming its campaign at the brand's male target audience, Salt designed a campaign focusing on how men enjoy and endure the key events set to take place during April and May. Research commissioned by Salt showed that while the FA Cup Final was an event to look forward to, many men dreaded DIY, visiting in-laws and shopping associated with the bank holiday. They also greeted the royal wedding with dread. Salt promoted the fact that Carlsberg was to sponsor the FA Cup Final, positioning it as a 'reward day' for getting through the busy holiday season. The agency recruited journalist and co-founder of men's media agency Insider Consultancy Simeon de la Torre to be its 'man expert'. He took part in radio interviews about how men and women could find compromises for enjoying events such as the royal wedding together. Salt also organised photocalls for 3D Carlsberg-branded projections, ensured it was covered on YouTube and that key online writers, who cover advertising and consumer issues, were alerted to the stunt. A total of 160 pieces of coverage were generated, including photographs of the projections in The Sun and Metro, as well as being distributed by the Press Association. The blog Dead Dinosaur referred to the YouTube video of the White Cliffs of Dover projection, which features a team of men repairing the cliffs, as 'the coolest video I have seen in a long time', adding, 'this video has been filmed to help reposition the Carlsberg brand'. The Optical Illusionist blog referred to the footage of the 3D projection as 'truly impressive', while ShortList named the footage as one of the greatest promotional and advertising campaigns for a beer of all time. The research about men's attitudes to holiday events was featured on Heart and Capital FM stations and Sky News, as well as online media, including blogs. Sales of Carlsberg's beer grew by five per cent during Q2. The video footage of the 3D projections at Liverpool Street Station and the White Cliffs of Dover received nearly 146,000 hits on YouTube. Carlsberg and Salt timed this campaign well - bank holidays, football and royal weddings all provide ideal excuses to go down the pub for a pint, or head for the garden with a four-pack. Survey findings provided the basis for media relations and social media activity, and a couple of photocalls introduced the new packaging. This meant all bases were covered and consumers got to see the product, hear about it and talk about it. And, of course, buy it. Humour was an important aspect of this integrated campaign and gave it added impact. I liked the idea of having a 'man expert' on hand to explain the concept of being rewarded for a job well done. I am sure that this, together with the survey findings, was an excellent driver for social media activity. In this case, it also complemented the parallel viral campaign that sprang from the commercials. Ultimately, the success of a campaign is measured at the bottom line and the five per cent sales growth in Q2 showed that Salt got it right for Carlsberg.